this picture demonstrates the difference in size of the 205VR15 Pirelli Cinturato CN72 HS in t he centre. On the left there is a 205/70VR15 Michelin XWX and on the right is the 215/70VR15 XWX. These are both great tyres, but you can clearly see the dimensional differences, and the height of the 80% profile of the CN72 tyre which is so right for ‘60s cars compared to the smaller diameter of the 70% profile tyres which are perfect for cars of the ‘70s.  In 1964 PIRELLI's 205VR15 CN72 CINTURATO ™ HS tyres took the world by storm. Cars such as the Maserati Mistral changed from 16" to 15" Borrani wheels so they could take advantage of this new tyre technology. Many other Italian Exotic cars such as the ISO Grifo & Rivolta, Lamborghini 350 Gt, 400 GT 2+2, Islero, Muira & Espada, Maserati Mexico, Sebring, Ghibli, & QuattroPorte, Ferrari 500 SuperFast, 365 Spider & 330 GT 2+2; from 1964 onwards fitted the 205VR15 CINTURATO ™ CN72 HS (HS meaning; High Speed). The Feltham David Brown Aston Martin cars tended to fit Avon TurboSpeed crossply tyres as standard equipment, but if you wanted to upgrade to radial tyres and you were prepared to spend the extra money, the Aston would fit PIRELLI CINTURATO ™, as the CINTURATO ™ was the radial tyre of choice for Sports cars in the 50's and early 60's. For the early Feltham cars they fitted 600H16 Avon TurboSpeed or 185VR16 PIRELLI CINTURATO ™ CA67 then part way through the production of the DB4 they changed to15" wheels and 670V15 Avon TurboSpeed or 185VR15 CA67 CINTURATO ™ untill the series 2, DB6. 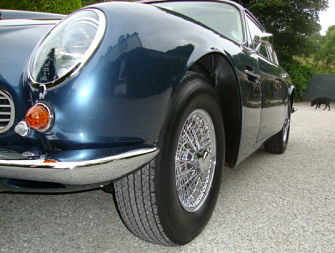 The series 2 DB6 had flared wheel arches so it could fit wider rear tyres and 815V15 Avon TurboSpeed were fitted as standard crossply tyres, and was also the standard Cross ply for the 6 Cylinder DBS. 205VR15 is the radial equivalent 815V15 and we would suggest that even though Avon do make a 205VR15, the PIRELLI 205VR15 HS CINTURATO ™ CN72 is a fantastic tyre. The Overall Diameter of the 205 VR 15 PIRELLI CINTURATO ™ CN72 is 707 mm and the width is 210 mm. For more information on the 205 VR 15 PIRELLI CINTURATO ™ CN72 please see below or call +44 (0) 1302 711 123.